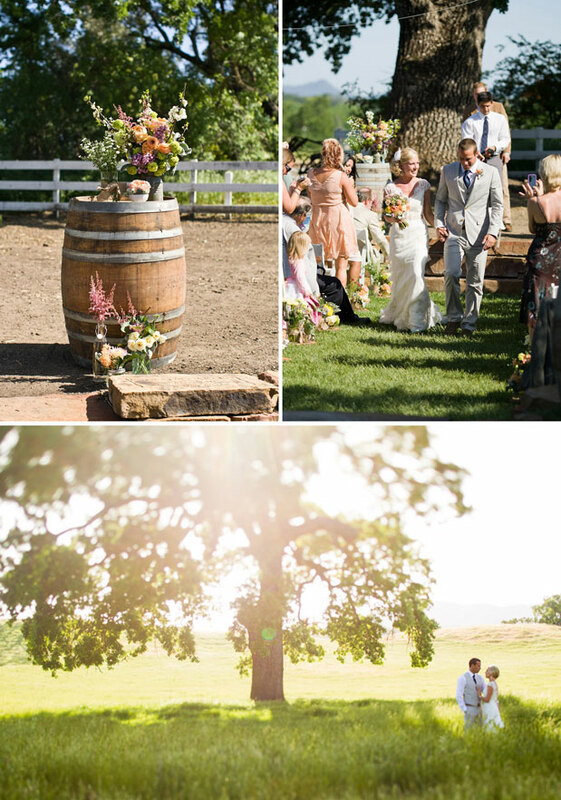 Who could not love a Central Coast wedding like Jen & Mike’s at Santa Margarita Ranch? It was filled with charm, adorable details, personal touches, delicious food, & a sumptuous spread of pies! 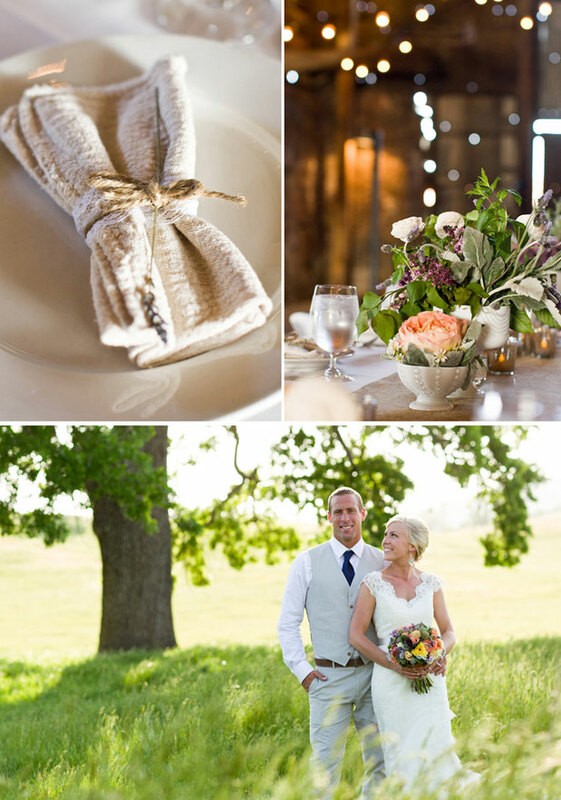 If you’re lucky enough to visit the ranch or even be a bride there, we hope your event will have some of the character, love, details, & charm of this lovely couple! 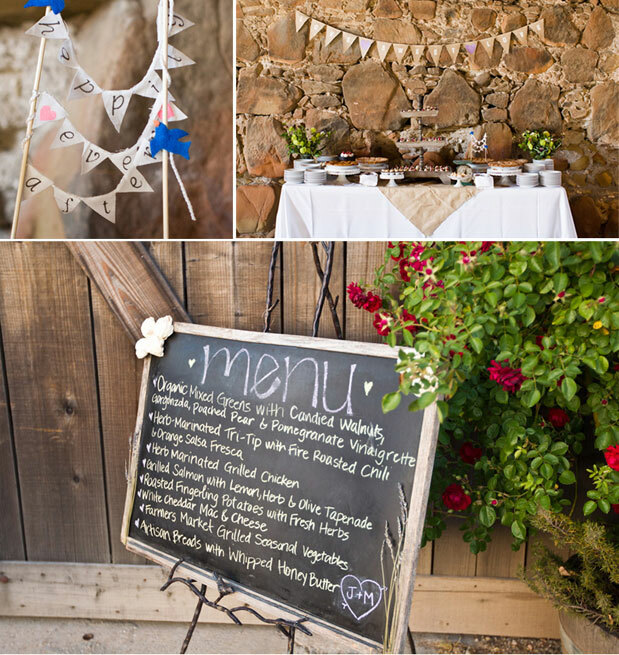 Many wedding planners will tell you that details make the wedding & this is a perfect example. For the cocktail hour, appetizers were served on the grass under the majestic oak tree where many couple choose to exchange their vows. A few favorites? Bacon-wrapped scallop skewers & grilled crostinis with local goat cheese, fig & candied pecans. 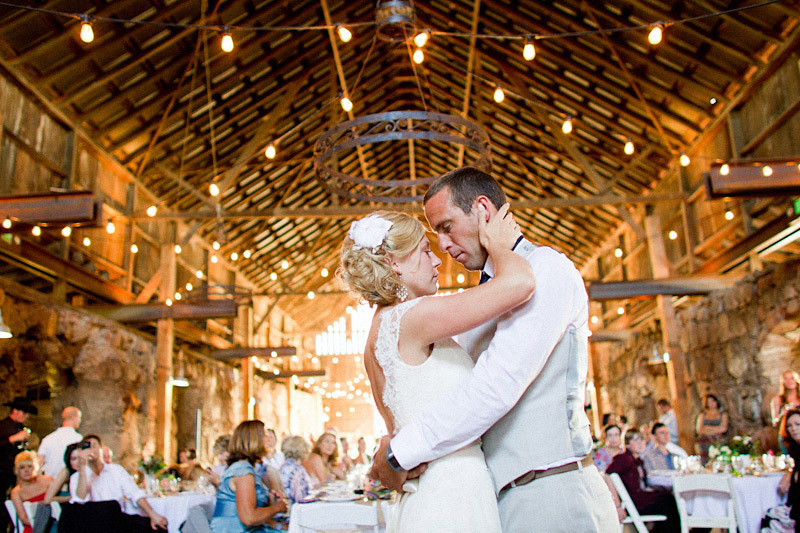 The dinner was served family-style in the historic barn. For their menu, Jen & Mike wanted approachable comfort food that reflected the fresh flavors on the Central Coast. Some of their favorite items include grilled seasonal vegetables, aged cheddar mac & cheese & grilled salmon with fresh herbs, local olive tapenade & lemon. The dessert bar was a combination of mini cupcakes by Clementine Cupcakes and the beautiful blooms were by the always-awesome April Flowers. Congrats Jen & Mike! May your 2012 be filled with love & joy.